Motus, a Boston tech startup specializing in vehicle management and reimbursement software, is simplifying the work-life balance equation for mobile workers. As part of a rebranding and recruiting effort in 2014, Motus moved its suburban headquarters to downtown Boston to attract new talent. 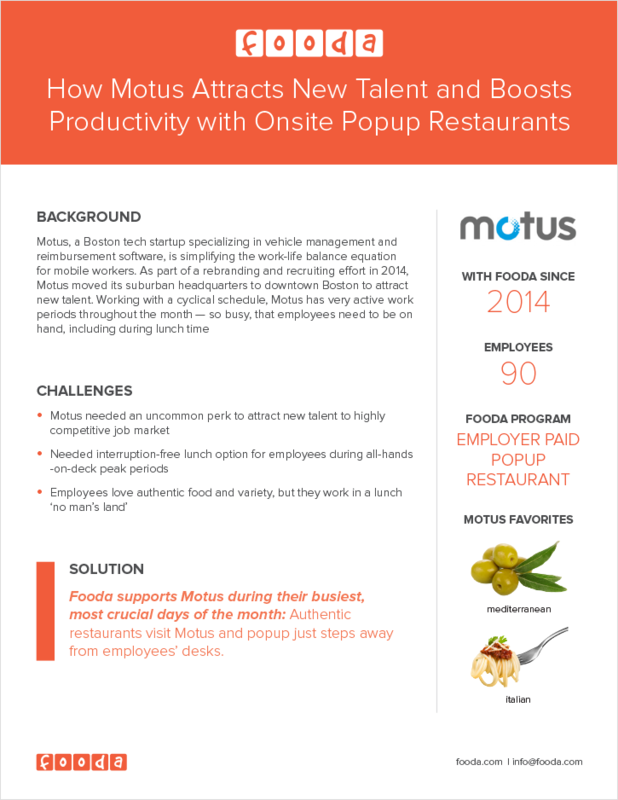 Working with a cyclical schedule, Motus has very active work periods throughout the month — so busy, that employees need to be on hand, including during lunch time.